In collaboration with 3D Systems a select group of 5 of the worlds leading architects and designers are exploring and challenging 3D printing technology by designing 3D printed ladies high heels. Candidly dubbed ‘Re-Inventing Shoes project’ is about exploring and pushing the boundaries of this rapidly developing technology. 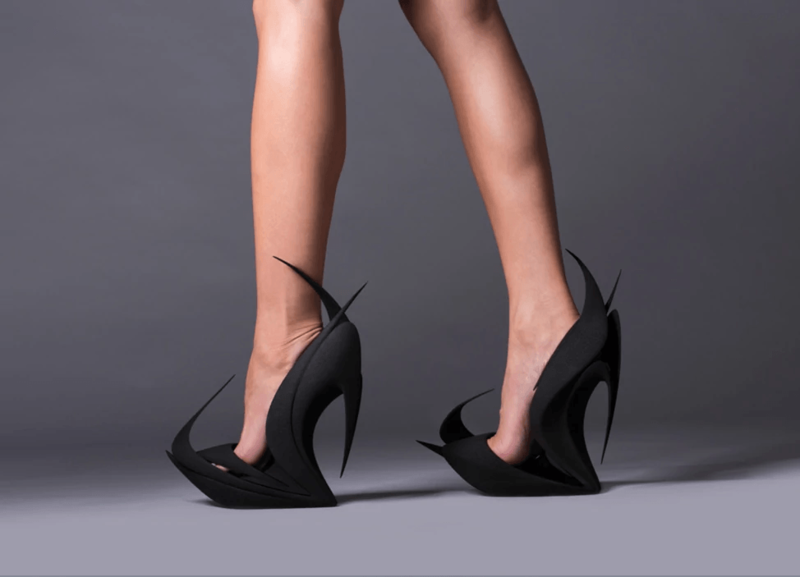 Creating shoes with 3D Printing these designers were allowed the largest amount of sculptural freedom. The production method used is the highest quality of 3D printing (SelectiveLaser Sintering) in a hard Nylon and all-new soft Rubber material by 3D Systems and combining the two allows the creation of fully functioning high heels. Each shoe will be available as a up to 50 pair limited edition.